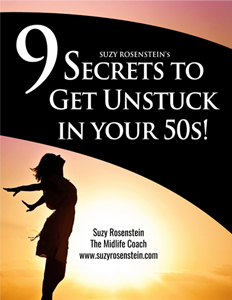 Why it’s difficult for many midlife women to identify a passion. What it really means to have a passion. How whale watching has become a completely satisfying and interesting passion for Suzy. How childhood joy can reveal things you’re still passionate about. Why it’s important to connect with your thoughts about what you love. Why you may be resistant to actually allowing yourself to love what you love. An easy-to-use strategy to help you get at your real thoughts and desires. This week we’re taking a deep dive into why it’s important to connect with your thoughts about what you really want in your life and strategies for how to find the time to make it happen. For some reason, it’s common for many midlife women to have difficulty connecting with their “passion.” Without this awareness, they are left feeling like something’s missing and feel compelled to look for it. Determining and connecting with what you’re passionate about doesn’t have to be difficult and elusive. But because midlife women are not used to putting themselves first, they are also not used to thinking about what they want. Being out of touch like this can make it quite uncomfortable to even think about spending time, energy and resources on yourself. It can feel quite indulgent. 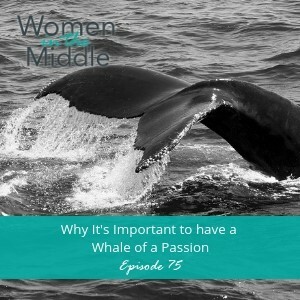 Join Suzy as she takes you on a deep dive into one of her passions, whale watching, and how she incorporates it into her life in different, meaningful ways. Also learn strategies for how to connect with what you’re passionate about and how it would be beneficial for you to integrate more into your life. Passion is fun! Get ready!